Guest Bio: Dr. Oral received her BS degree in Chemical Engineering from Boğaziçi University in Istanbul, Turkey, conducted her graduate work at Purdue University with specialization in polymeric biomaterials for therapeutic systems and received her PhD in Chemical Engineering in 2003. She did her post-doctoral training in Orthopaedic Biomaterials at the Harris Orthopaedics Laboratory on antioxidant stabilization methods of cross-linked polyethylenes for joint implants. Her post-doctoral work received the HAP Paul Award of the International Society for Technology in Arthroplasty. Oral was appointed an Instructor in 2005 and focused on improving the mechanical strength of current polymeric materials used in joint implants and medical devices. She was named American Academy of Orthopaedics Surgeons/National Institutes of Health Young Investigator on Wear and Osteolysis in 2007 and gain received the HAP Paul Award of the ISTA in 2011. She was named a Claflin Distinguished Scholar at the MGH in 2011 and became a Lifetime Honorary Member of the International Society for Technology in Arthroplasty in 2013. Oral has published over 40 peer-reviewed papers and numerous book chapters. She is also an inventor of a number of material technologies for joint implants with over 90 patents and patent applications. In addition to her research, she is an educator to biomedical engineering technicians, post-doctoral fellows, medical students and colleagues. Neal Howard: Hello and welcome to Health Professional Radio. Our guest is with us from Massachusetts General Hospital in Boston. Dr. Ebru Oral here with us to talk about her presentation at the recent American Academy of Orthopedic Surgeons meeting about Vancomycin. Welcome to Health Professional Radio, Dr. Oral. 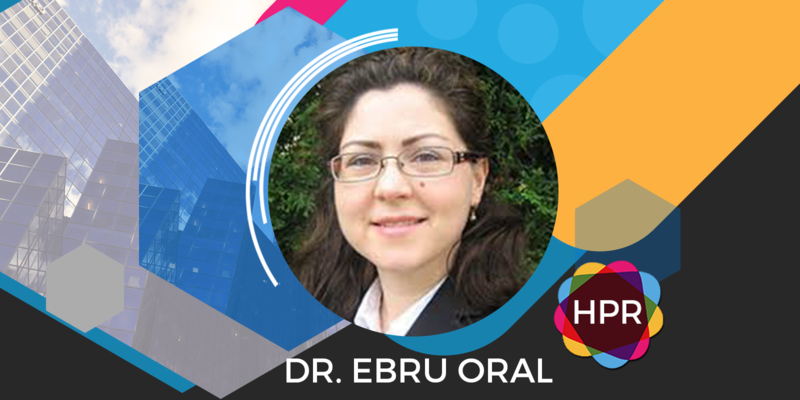 Dr. Ebru Oral: Thank you very much for inviting me. I’m glad to be here. N: What is your role there at Mass General? I am a research scientist at Mass General Hospital. My background is in chemical engineering. I have a PhD so I am NOT a medical doctor but I work in a very much in the clinical environment. I am an assistant professor of orthopedic surgery. I’m also the associate director for Biomaterials Development at the Harris Orthopaedics Lab at Mass General Hospital. A little bit of background about the Harris lab, we were founded by an arthroplasty surgeon, a prominent one, Dr. Harris. Therefore our core competency and our historical work has been on arthroplasty itself the total joint replacement. Our laboratory is very translational in nature. That is we have subgroups where we take ideas and concept for materials development from the bench top all the way into the clinic and we follow up patients as well. So my group work on the sort of more bench side of things – that is idea conception, proof of concept, some pre-clinical testing of safety and efficacy. And then we also have other groups in our laboratory that have expertise in prototype design and device testing and we try to support IP development as well as regulatory submissions such that we can bring these ideas into the product stage and and with some partners bring them actually into the clinic. N: You recently presented at the American Academy of Orthopaedic Surgeons meeting concerning Vancomycin now. Vancomycin has been around for a while. What were you discussing as it relates to or recent developments surrounding Vancomycin? O: Let me give you a little bit of background on the subject which is periprosthetic infection. The material that we’re developing currently, we’re really interested in addressing this morbid condition. This is a type of infection that occurs after a total joint replacement. Currently in the U.S., there are about a million patients yearly that undergo hip and knee replacement in a very small fraction of them 1-2%, but that is a large number if you consider the total number of people undergoing this surgery get an infection mostly, within the first 2 years of the implantation. Currently, the gold standard for treating such infection involve the 2 surgery procedure. In the first surgery all of the implants are removed from the patient and the bacteria are cleaned as well as possible. And then there’s a period of time where the patient is treated with antibiotics both by IV and also locally with antibiotics including Vancomycin, locally in a matrix called bone cement. This period of time is meant to be about 4 to 6 weeks however, in most patients this can go up to about 3 months and the patient in this period of time is quite limited in their weight bearing. And then after this period of time is when the patient is cleared from the infection then there’s a new procedure where new implants are implanted so everything is renewed. So as you can see this 2 surgery procedure is quite traumatic for the patients. It’s a long process as well as costly and not very ideal so we wanted to first develop a bearing surface made out of polyethylene, which is the typical bearing surface that is used in these implants and we wanted it to be able to deliver the antibiotics from this bearing surface as opposed to bones in that which the fixation device is not meant to be load-bearing. So if we can do that then perhaps we can eliminate the two surgeries and do the treatment in one single surgery and leave the bearing surface in there to elude the antibiotic and treat the infection. So the the two posters that I presented this year at the academy were based on Vancomycin as well as Vancomycin and Rifampin eluting polyethylene. We proved the concept that we can do this that we can elude from the bearing surface and be effective against some of the most common bacteria that are seen in these infections. N: Is there any consideration as to the age of the patients? O: We have a born history of developing polyethylene implant and so there are several different properties that we really have to maximize for the material and so we were focused on that, but there’s really no reason why these implants cannot be used for the indication of infection for the patient. N: Now, are these the preventative of infection or do they make inevitable infections much easier to handle and Vanquish? Is that an aspect of the product as well? O: Currently, we’re focusing our efforts on treatment because as I said the current Gold standard treatment is not ideal, however prophylactically that is to prevent infections. We could use similar type of implants however the surgeons and the community at large is very much interested in the risk of resistance to some of these drugs and putting them prophylactically in the joint has some concerns. That I think is a longer-term prospect, but technically we can certainly use these materials and modify them so that we can use them for preventing infections as well. N: What was something else that excited you that correlates with your presentation and maybe in the future collaboration may take place? O: With respect to infection specifically, there are new methods that are being developed to actually identify infections which is another area that requires some work. There are still about 20% of infections in patients that can be culture negative, that is the bacteria that infects the joint is not known. So there is a technique called NGS or “next-generation sequencing” that I am very excited to see where it’s going to go because it can help us in identifying infections a little bit better it seems. And then another area that’s directly related to what we do is pain because we are also interested in addressing pain with this type of implant material with instead of antibiotics using analgesics in the bearing surface. I’m glad to see that there was a lot of interest I think in now quantifying how much pain patients feel after the surgeries and related to that how much pain medication they’re using. With some close look at these concepts, I think we’ll be able to develop some thoughtful materials and methods for addressing that condition as well. N: Where can we go online and get some more information about the Harris Orthopaedics Lab there at Mass General? O: We do have a website. I think any search engine with Harris Orthopaedics Lab at Mass General get to it. It’s www.harrisortholab.com. N: All right. Well, I sure appreciate you coming in and giving us this great information. I’m hoping we’ll talk to you again in the future as things developed, and it’s been a great interview. Thank you so much for taking the time. O: Thank you very much.